The Swamp Lands of the Looe Valley. The reedy estuary of the Looe Valley was the inspiration behind the swamp lands seen in Barrow Hill. In winter, this natural habitat is an eerie place, with the ghosts of old boats peeking through the low level tidal silt. 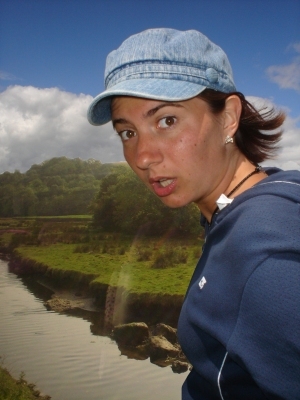 The perfect way to see it is via the Looe Valley Train, from Liskeard to Looe. From the warm comfort of the train you will see rare birds, unusual fauna and the nautical dinosaurs, mentioned above. 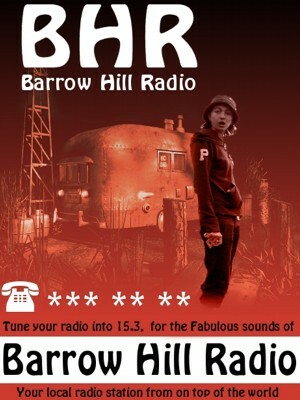 In Barrow Hill, this location is the setting for Emma Harry's Barrow Hill Radio Station, piping out soulful tunes across an empty, and creepy landscape. Right: The Swamp Lands, as seen on Emma's Poster.